CloudBerry is a premium add-on that enables you to build a robust and automated new revenue stream for your business. 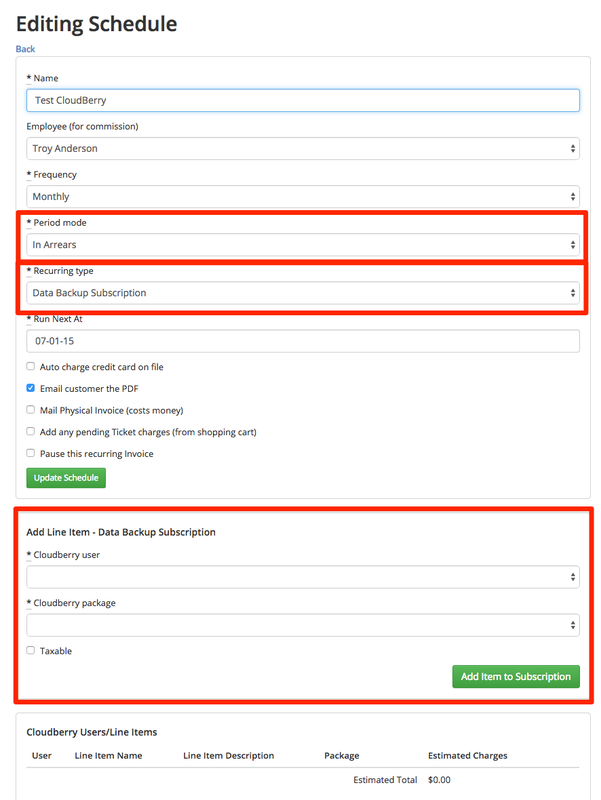 Utilizing CloudBerry Managed Online Backup services you can run your own white-labeled online backup products and have completely automated billing provided by Syncro. This page will serve as a setup guide and a more technical resource for getting started. First things first, let's talk about the dependencies for this setup. 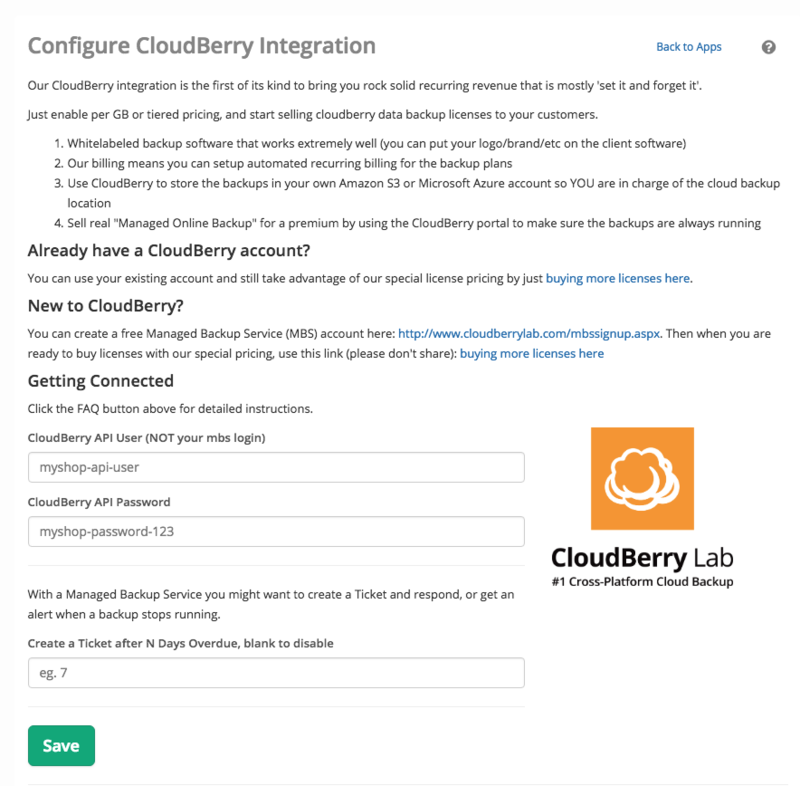 CloudBerry configured for a "storage account"
We are going to take you through the guide assuming S3 for everything, but you can also use any of their cloud storage offerings that CloudBerry supports. 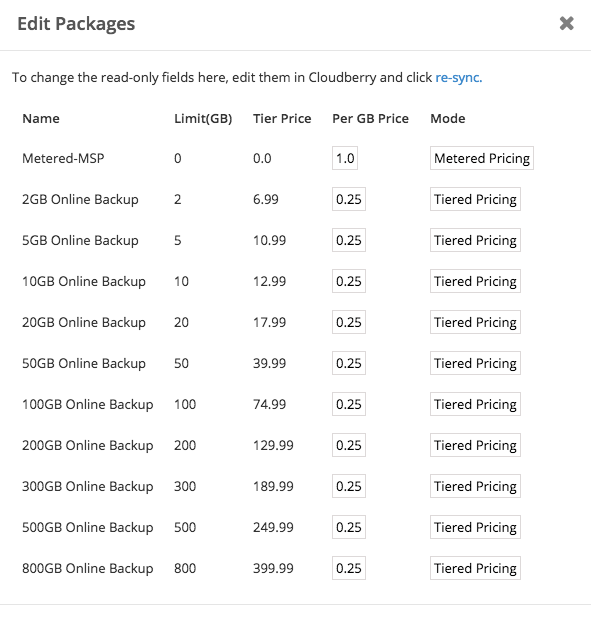 Name: "Managed Online Backup - Per GB Metered Pricing"
Description: "Secured and managed online backup service, with a price per GB"
Request a custom build in CloudBerry to get an installer built that you can install on a desktop if you want to get started with running a backup. If you are serious about trying this out with real customers, you might as well go through the white label setup process at this point too! Install the CloudBerry desktop software on a client machine and set up a backup. The software asks you to log in (as the user you created in the MBS portal). Once you do a backup, we are ready with some data and can continue the integration. Head to the app center and click the CloudBerry app card, all it wants to really work is the API credential you created on step 4 above. Once connected (might take a refresh or two) you should see status connected, and new buttons for Edit Packages and Import Subscriptions. Click "Edit Packages" to see your packages that we imported, you can also re-import them here. If you are going to setup "Metered" pricing (per GB billing) set at least one of your packages to "Metered Pricing" mode. If you already have some users and packages setup, and you the emails match a customer in your Syncro account, and you want to just import them all as recurring invoices - you can do that. Just click "Import Subscriptions From CloudBerry". This will create a recurring invoice subscription for the package they are set to in CloudBerry, and bill to the matching customer in Syncro. If a matching customer isn't found we'll just not import that one. Now that you are integrated, you'll notice new options in the recurring invoice section of Syncro. You may have seen us sneak in a new field: "Period Mode" - this is used to drive a new line item tag for placing the billing period on the line item. For example, you want the invoice to tell the client "this is for June 1st to June 30th, 2015" - so when they are looking at a pile of invoices, it's clear what service period they are billing for. This will help prevent potential disagreements down the road about which month they have paid for and which they haven't if there is ever an issue. In a metered backup scenario you probably want the billing "In Arrears", meaning, you are billing after the period has ended. So, on July 1st, we are going to make an invoice for June 2nd to June 30th. If you were billing in advance, we wouldn't know their usage yet.. Billing in advance makes more sense for managed services like "Labor" where you want to bill up front before you spend a bunch of time on their network/etc. This is just how you set the recurring invoice to enable the CloudBerry functionality. If we have any usage data, we'll calculate an estimated charge at this point. If your plan is set to "Tiered Mode" (pay for storage limit) instead of metered (pay per data used), it will just always use the plan price here. Now if this customer has a stored credit card on file, select that and your automated revenue will start rolling in.